Like most people, you probably rely on your drip coffee maker to provide you with fresh, hot coffee every morning. While some of you may have time to brew coffee in a Chemex with freshly ground, home-roasted beans every day, the rest of us wake up, stumble to our pot, push the button, and silently beg it to brew faster. But what happens when that button does nothing? When the water doesn’t heat up? When you have a power outage? Or worse, someone has forced you to stay in a hotel or at a campsite with no coffee maker in sight? If it’s that last one, maybe reconsider the folks you’re spending time with. Before you do that, let’s find a way to get some coffee in you. Depending on what you have on hand, you’ve got several options for making coffee without a coffee maker. While none of them will compare to coffee brewed using fresh grounds and piping hot, filtered water, at least you’ll be able to get your java fix before you try to order a replacement drip coffee maker or work on making alternative travel accommodations. If you’ve got limited supplies on hand, this option will probably work for you. Using kitchen basics, you can brew up a cup or even a pot of coffee right on top of your stove. Pour water into your pan. Use slightly more water than the amount of coffee you want because you’ll lose some of it to boiling and soaking into the grounds. Stir the coffee grounds right into the water. Use the same amount you would put in your coffee maker for the amount of water you used. Set a burner to medium–high and bring your coffee to a boil. Stir occasionally to avoid burning the grounds on the bottom of your pan. Boil your coffee uncovered for two minutes. Remove the pot from the heat and let it sit for four minutes. This allows the grounds to settle on the bottom. Don’t forget to turn off the stove. Use a ladle to scoop brewed coffee into your mug, without taking any grounds with it. A small ladle is perfect for this. If you don’t have a ladle at all, you can pour the coffee from your saucepan very slowly. The grounds are heavy and will mostly stay on the bottom. Are you one of those people who wakes up with all your synapses firing, ready to take on the day? If so, you can make yourself a little tea bag for coffee grounds, just as the French did during the 18th Century. First, get out that kitchen toolbox, Morning Person! Measure a single serving of coffee grounds, then pour it into your filter. Close the filter tightly, making a little pouch full of grounds. Tie it with a length of string, leaving one long end to hang outside your cup just like a tea bag. Heat water using any method you have available, such as a kettle, pot, or even a cup in the microwave. Place the coffee filter bag you created into an empty mug. Slowly pour the hot water over the coffee bag in the cup, being careful not to overfill your cup. Allow the coffee to steep for about four minutes. You may increase or decrease the time as necessary to make your brew stronger or weaker. Remove the filter and discard it before drinking. If your coffee maker went kaput and you don’t have any filters, you have terrible luck, and you probably need to make a trip to the grocery store. However, if you happen to have a strainer, things may just turn out okay for you. But not just any old strainer will do. 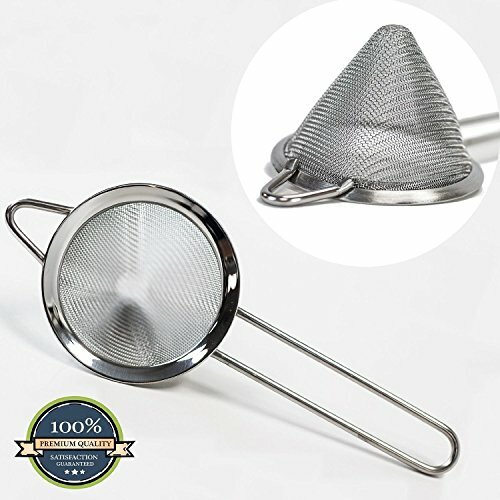 Be sure to use a strainer with very small holes, such as a double-layer mesh strainer, which will prevent your coffee grounds from going into your cup. Measure the proper amount of water for the number of cups you wish to make and pour it into your kettle or saucepan. Add the correct amount of coffee grounds for the number of cups you are brewing. Stir it in. Bring the water to a boil and keep it boiling for two minutes. Hold your mesh strainer above your mug and pour the coffee through it. The strainer will catch any grounds that come out of the saucepan, as the coffee flows into your mug. Unlike the saucepan method, you won’t need to wait the extra time for your grounds to settle because you’re using the strainer. 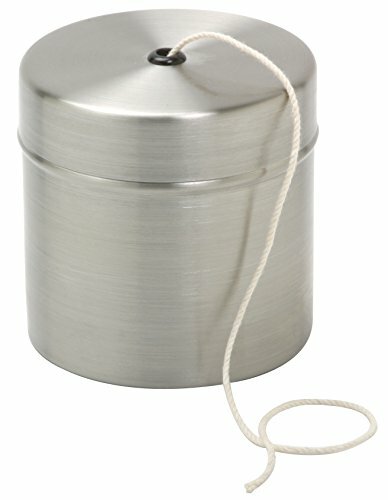 Who needs a Keurig when you can brew a single cup using this more rustic, less expensive, doesn’t destroy the environment technique? It takes a bit of patience, but the result pretty much guarantees you won’t be drinking coffee grounds. 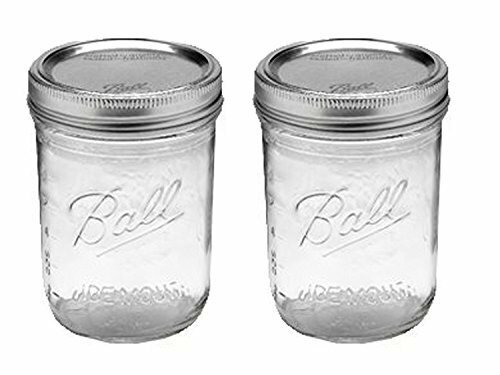 Use a mason jar instead of a regular coffee mug to make your Hanky Method brew look painfully hip. You know, if you’re into that kinda thing. Place your hanky across the top of your mug, then press gently in the center to make a pouch big enough to hold a serving of coffee grounds. Secure the cloth in place using binder clips or clothespins. Be sure to use at least three clips so the hanky won’t fall into your coffee. Scoop a single-cup portion of coffee grounds into the pouch. Pour a small amount of hot water over the grounds. Allow at least 30 seconds to soak the grounds completely. Slowly and carefully pour in the rest of the hot water. Keep an eye on your clips while you pour and adjust them if the start to slip. Remove the hanky and grounds, and enjoy your coffee. 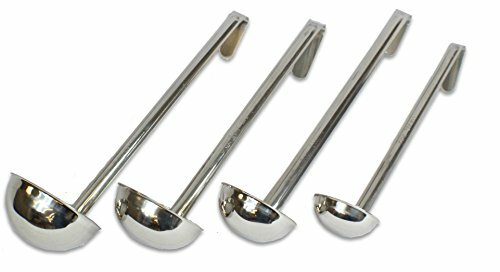 One of the most popular methods of brewing among coffee lovers can be duplicated with minimal tools. It’s easy enough to do in your kitchen or even over a campfire. If your French press coffee maker is out of commission, give this method a shot. Put one tablespoon of coffee grounds per cup into your bowl. Pour in a small amount of boiling water, letting it fully saturate the grounds. 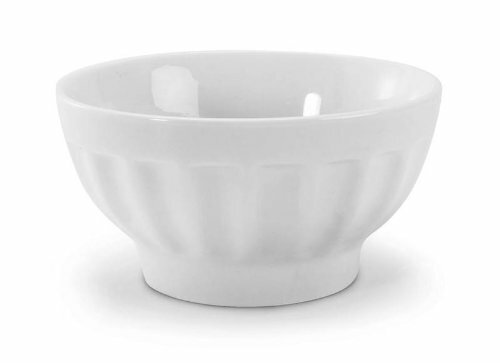 Add the appropriate amount of hot water for the servings of grounds in your bowl. Let it stand for four minutes. When the grounds have settled, use your tablespoon to gently press them to the bottom of the bowl. Be careful not to splash yourself. Pour the coffee into your mug slowly, using the spoon to keep the pressed grounds in the bottom of the bowl and keep them from falling into your mug. Don’t worry. You don’t need a horse or a ten-gallon hat to make this coffee. You can make it almost anywhere, though, as long as you don’t mind just a little bit of grit in your cup of joe. Put one tablespoon of coffee grounds per serving of coffee into your kettle. Add about eight ounces of water per serving to the kettle. Stir it well. 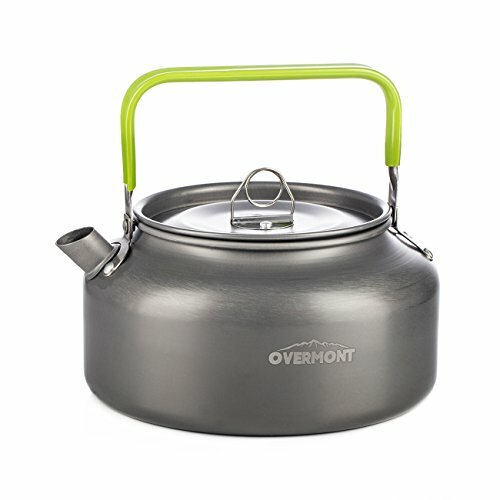 Place the kettle over your fire (or on your stove) and bring its contents to a boil. After boiling for about two minutes, remove the kettle from heat. Allow about four minutes for the grounds to sink to the bottom. Slowly pour the coffee into your mug, avoiding the grounds as best you can. Then again, this is cowboy coffee. It needs a few grounds in it, right pardner? No drip machine, no string, and no time to waste? 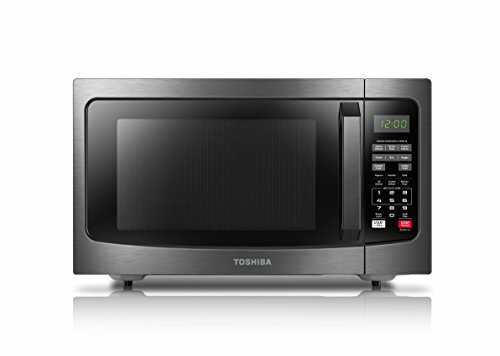 As long as you have power and microwave, you can have your coffee too. This is about as simple a brewing method as you can possibly get. Fill your mug with water and pop it in the microwave for about two minutes. The water should be very hot, but not boiling. Stir in a tablespoon of coffee grounds. They’ll make a sizzling sound when you first add them. Enjoy your coffee, just be sure to avoid that one last sip full of coffee grounds, unless you like your coffee chewy. Just kidding. But if the mere thought of going without your morning cup of zing makes you want to hurl your favorite coffee mug, consider keeping a couple of things on hand for emergencies. First, despite its bitter taste and poor reputation among coffee connoisseurs, instant coffee has managed to hang around for about a century for good reason—it’s convenient. 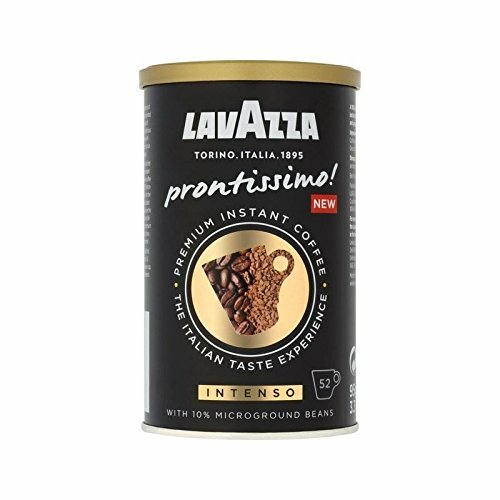 Keeping a supply of instant coffee in your pantry can practically save your life in a coffee emergency. It may not be the most delicious coffee you’ve ever tasted, but it’ll stave off that migraine you’ll get if you skip your coffee all together. 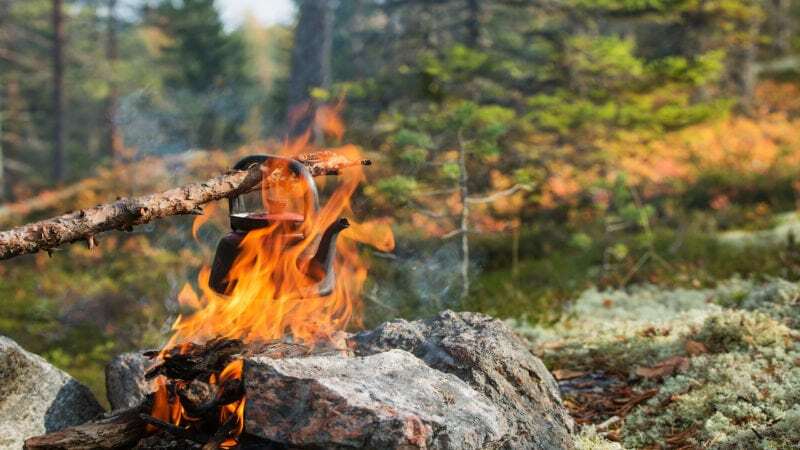 They’re easy to find, relatively inexpensive, and you can use them on anything from an electric stove to a camp stove to a campfire. 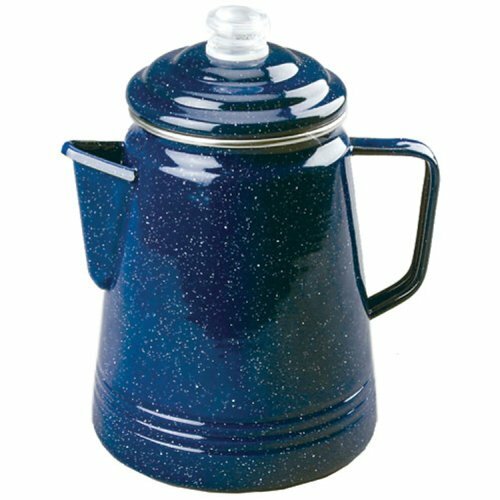 A trusty percolator can save the day whether your drip coffee maker dies on a Tuesday morning or your power goes out for days after a nasty storm. Pour over, French press, and Aeropress coffee makers are also affordable and make excellent backups (or replacements) for your drip coffee maker. Whichever method you chose, we hope you’re already enjoying a piping hot, fresh cup of coffee. Does grinding coffee beans without a grinder sound impossible? What are you supposed to do, chew them?! No need to resort to that. All it takes is a few kitchen tools you probably already have. Settling for subpar lattes at the big chain coffee house because you think you can't make them at home without a big, fancy espresso machine? Think again! 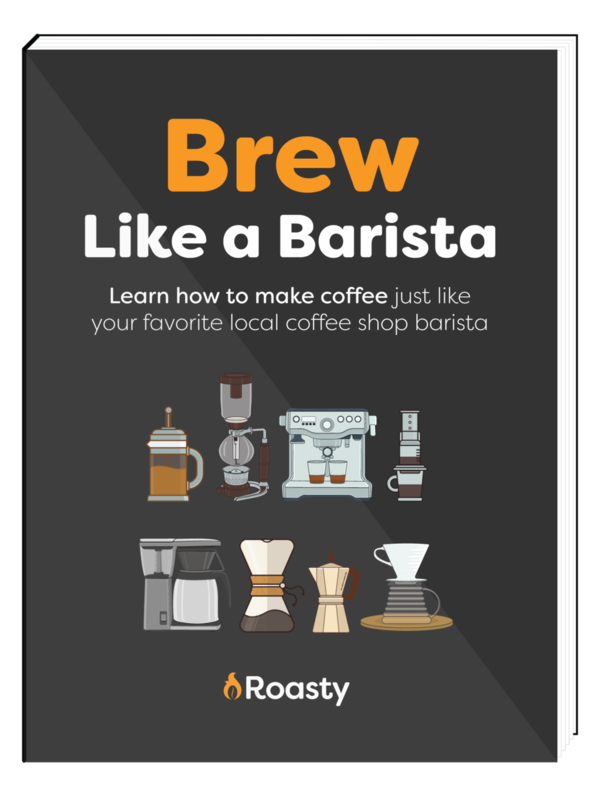 Learn how to make a latte at home, save money, and earn bragging rights among your coffee aficionado friends. Love espresso, but can't spare a small fortune for an espresso machine? You don't need it if you've got one of these three other less expensive coffee makers.